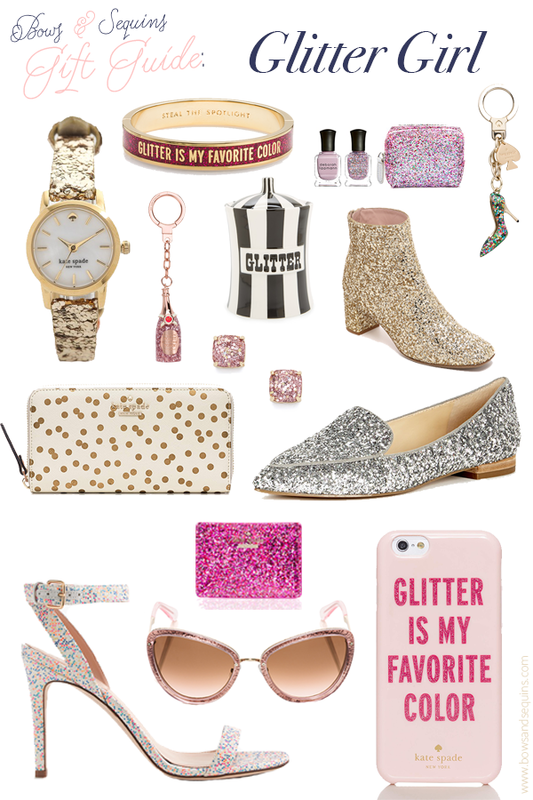 I couldn’t go too long without posting a gift guide for the inner glitter girl in all of us! I love how all of my favorite brands bedazzle just about everything this time of year… Shoes, sunglasses, watches, jewelry, phone cases, keychains, you name it. I can’t get enough! 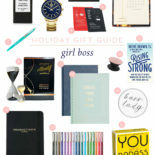 From statement pumps to stocking stuffers, this guide has all of my favorite glittered goods. Happy shopping! If your glitter girl is also a fitness freak, you have to check out these leggings. Absolutely obsessed! If these won’t get you to the gym, I don’t know what will! And this water bottle? Too cute. I’m also in love with these glitter rain boots. They’ll definitely put a pep in your step and brighten up a dreary day! These loafers are on my must-buy list. Like, immediately. If your glitter girl is going on vacay soon, these sandals would be perfect! I have these coasters and they’re so cute. They have a clear coat of acrylic over the top of the glitter so no glitter shedding to be cautious of! Found this after I published this post … How good is this glittery monogrammed keychain? Such a cute gift idea! I know I’ve mentioned this before, but I buy this lip balm in bulk. I hoard it, literally. And now it’s in a cute bejeweled case?! NEED! Check out The Shop, where you can filter gifts by both category and dollar amount! I’ve also made a Holiday Shop where you can find products from all of my gift guides in one easy place. If you need to reference back, you can always reference all of my gift guides here! No Christmas without glitter 🙂 Love your picks! I LOVE MY LEOPARD COAT!!!!!!!! AHH YAY! So happy to hear!! Will I see you in STL on 12/23? Hope so!! The Shop is such a cool feature!